Having had very little experience growing from seed, I was not convinced it was for me. I’ll admit I’m not the world’s most patient person – I love the “instant green” you get from planting seedlings – so it took me a long time to start experimenting with those little seed packets I kept walking past at the garden centre. But now I’m hooked! I’ve had such great results growing from seed, not only with healthy, lush, productive plants, but also in my back pocket. A packet of seeds costs roughly the same amount as a punnet of seedlings but yields many, many more plants. Sometimes a hundred times more! And I love that I can have different packets of seeds on hand for planting at any time that suits, without the need for a trip to the garden centre. Conditioning your bale correctly is a very important part of the growing process. This will release much needed nutrients to the plant for a healthy production of vegetables for the seasons ahead. Selecting the right plants for the season is vital. Be guided by what is on the seed packet. Take note of the area that you live in and the recommended planting season. If you’re still a little unsure ask for assistance or take a look at www.gardenate.com.au. This has been a very useful resource for me over the past 3 years. You will also need a small bag of good quality seed raising mix. This is the fun bit! Once you have completed the conditioning process (step 1 above), it’s time to plant. By taking advantage of the heat that is still within the bale from the conditioning process, this will give your seeds a head start. Open the bale with a small hand shovel or pull a little bit of bale out to form a hole. Fill this hole with a handful of seed raising mix. Then simply push a small hole into the mix, place a seed (or seeds, check your packet) in the hole and cover with a little more seed raising mix. This process can be repeated when the plant needs to be replaced. The bale will be cooler so germination make take a little longer but the result will be the same. 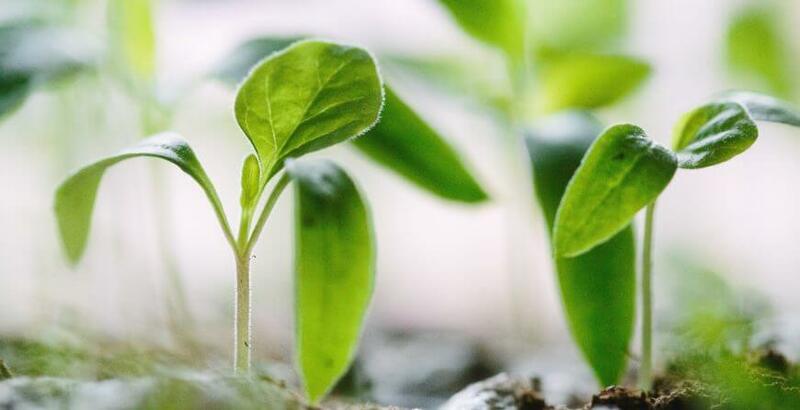 Depending on what you have planted, you should see the seedlings emerge within 6 – 10 days. If you have planted multiple seeds in the same hole and more than one has emerged, let the young plants grow for a week or so and pull out the weakest one, leaving the stronger one to grow on. Water your bale as needed and feed regularly.